When someone mentions weaving, it’s a natural mental jump to thinking of looms, yarn, and wool or cotton depending on the rug type and culture. However, there are lots of other weaving tools involved in the Oriental rug weaving process that many people don’t think about when they picture weaving. 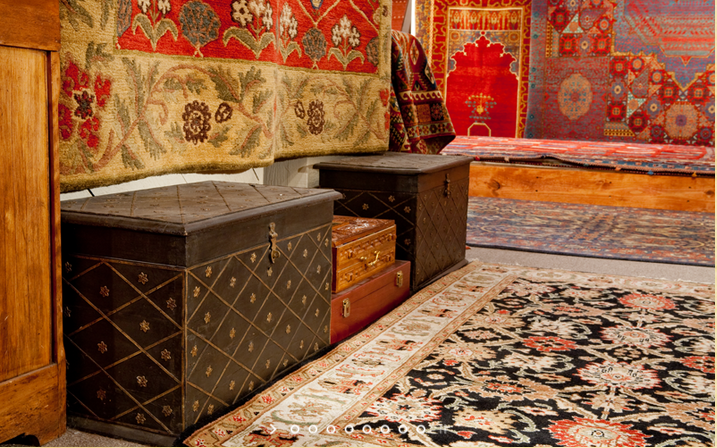 The main tools that rug weavers use are: a knife, a beating comb, and shears. Although these tools may vary slightly in size and generic shape, their purposes are always the same. This tool is used to cut the threads of the pile of an oriental rug. Remember, the pile is the thickness or height of the rug, and the threads in the pile help hold the warp and weft pieces together. The knife itself usually has a hook on the blade’s end, which helps the weaver make the formation of the knot. This weaving tool is made up of a series of metal blades that are splayed to form teeth. These metal blades are used to tighten – otherwise referred to as beating – the threads of the weft, the threads that run horizontally in a rug or carpet, against the knot that is tied around the warp strings. The beating comb is used to tighten those threads around the warp strings to secure the compactness and tightness of the rug itself. The last tool used in the weaving and knotting process is referred to as the shears. Just like shaving shears and hedge shears are used to create even lines and trim ends, the shears are used to clip the pile to an even level. The shears are used after the weaving process is completed to make sure that all pile pieces are completely finished and secured. Each of these weaving tools is essential to finishing the process of producing an Oriental rug. Although they may not seem to play as large a role as the loom, they each play a huge part in rug and carpet production. For more information, check out our website and our inspiration page!